While the US market is still awaiting the official launch of the LG Optimus G Pro, considering the success of the device in Korea, the phone is now launched in Japan. 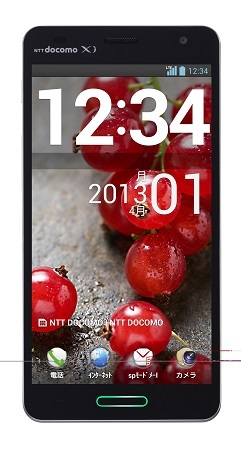 The device is launched in partnership with NTT DoCoMo. The LG Optimus G Pro has a 5 inch full HD IPS display. The device is powered by the fast 1.7 GHz quad core Qualcomm Snapdragon 600 processor with 2 GB of RAM and 32 GB internal storage. The phone has two cameras, a large 13 megapixel rear camera and a 2.1 megapixel front facing camera. The LG Optimus G runs on the Android Jelly Bean OS. The devices packs in a 3000 mAh battery which cannot be removed. The device boasts of stylish form factor with a unique user experience.